Mason’s Art and Design Building on the Fairfax campus has been reopened this morning after police investigated a written bomb threat that was discovered last night. The building was closed this morning and all classes beginning at 7:30 a.m. in the Art and Design Building were cancelled. Students were encouraged to take necessary precautions and stay away from the building. Mason Police are a fixture on campus, frequently seen roving the streets in white sedans marked with green and gold and standing guard by campus buildings. The police cadets, who are students, are distinguished from them only by the miniature radios on their shoulders and the block letters on the backs of their beige shirts. In the early hours of the morning on Aug. 30, two gunshots struck a car fleeing from the Fairfax campus after hitting a Mason police officer. In the week that followed, the campus buzzed with discussion regarding the decision not to send out a Mason Alert and the discharge of a Mason police officer’s sidearm. In the first two weeks of April, finalists for the chief of police at George Mason University met with students and held presentations about their vision for the future of the department. Three finalists were selected to give presentations: Drew Tracy, who is currently serving as interim police chief, Larry Volz and Eric Heath. Tracy was selected to fill in as interim chief after former chief Mike Lynch decided to switch roles at the department, but ultimately decided to retire. Lynch had been with the department for 13 years. 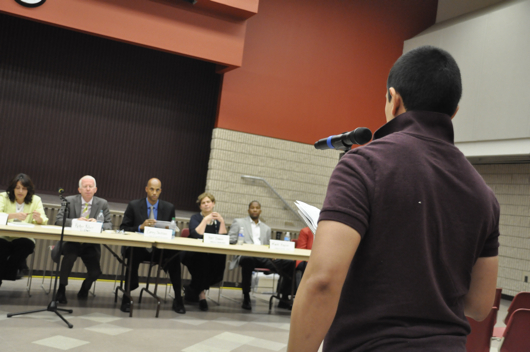 Student and Mason community member testimony will play a central role in an official university task force formed to seek input on “interactions and experiences” with the University Police Department, the Office of the President announced on April 6. A George Mason University Police Department and University Life forum was held on Tuesday and invited students to ask representatives whatever questions they wished. The forum, which was hosted by Student Body Presidential candidate Ally Bowers and Vice Presidential candidate Jacky Yoo, included speakers such as Sgt. Calvin Chandler, officer Michael Guston and Associate Dean of University Life Todd Rose. Are you a funny guy or gal? 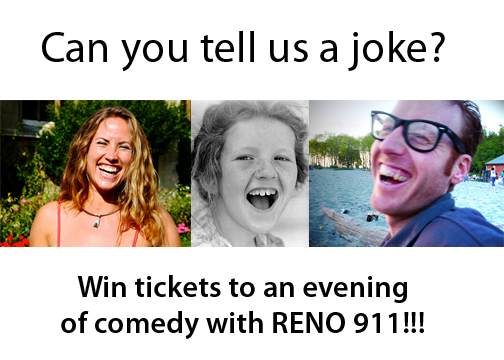 If you are, Connect2Mason wants to invite you to an evening of comedy. But instead of paying for tickets with cash, you can pay by making us laugh. George Mason University announced on March 16 that they have dropped their charges against Abdirashid Dahir for alleged Abduction. The school plans to continue reviewing the case through their own Judicial Affairs process. Dahir told Connect2Mason that he is "really happy with how things have turned out in the end," and that "everyone at Mason really is great, this is just a small case of a few people messing up that exploded to something bigger than it should be."